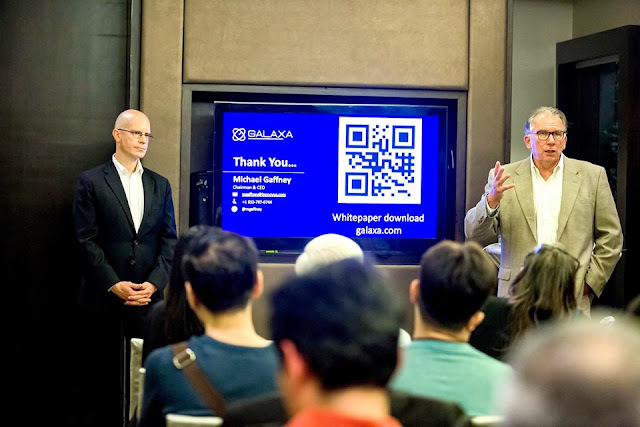 Leonovus Inc., at a press conference in Singapore, announced the release of Ver 1.0 of the Galaxa Whitepaper. Ottawa, Canada and Singapore, Nov 27, 2018 -- Leonovus Inc., (“Leonovus” or the “Company”) (TSXV: LTV; OTC: LVNSF) at a press conference in Singapore, announced the release of Ver 1.0 of the Galaxa Whitepaper. The news conference in Singapore aligned with Leonovus’ participation in the Canadian Trade Mission to the Singapore Fintech Festival. Singapore is a major global blockchain hub. “We are proud to release this first version of the Galaxa whitepaper and invite feedback from the global blockchain community to help us reflect on, and improve, the architecture and document. We expect several iterations of the whitepaper before the close of financing. 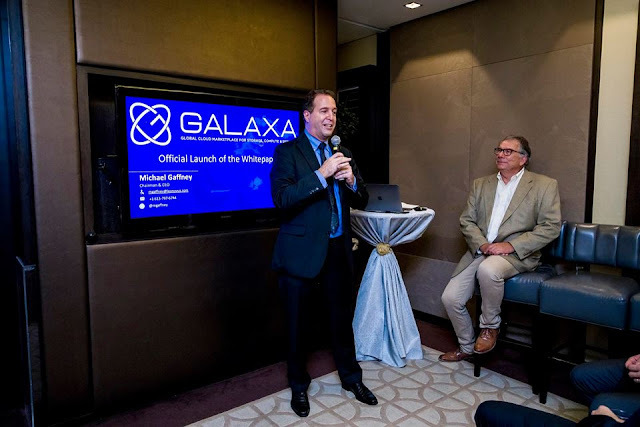 The whitepaper is available for downloading on the Galaxa website - galaxa.com,” said Michael Gaffney, Chairman and CEO. The Galaxa project is an important strategic initiative for Leonovus. 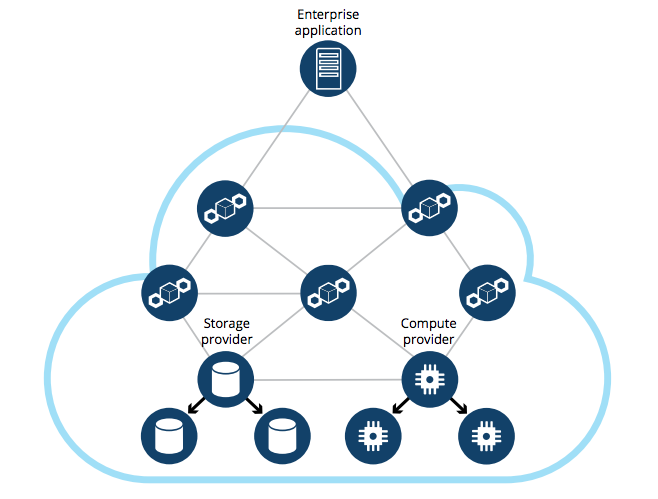 The current cloud storage and compute market is an oligopoly and Galaxa intends to challenge this market concentration. Gartner predicts 30%+ compounded annual growth rates for enterprise cloud data storage and cloud compute. The Galaxa blockchain platform incorporates the patented distributed storage and compute technology, benefiting from USD 26 million in research investment by Leonovus. It is the first blockchain-enabled, enterprise-class, Anything as a Service (XaaS), distributed storage and compute marketplace. A native cryptocurrency called GAAX is the payment system. Galaxa will introduce a new blockchain architecture designed to accelerate the global development and implementation of XaaS offerings by independent developers that share a worldwide network of enterprise-grade distributed data storage and distributed compute assets. In 2008, Bitcoin was the first major use of a blockchain. In 2015, Ethereum improved the blockchain with the introduction of the Smart Contract. In 2020, Leonovus believes, that Galaxa Smart Services becomes the next blockchain evolution. Before Galaxa Smart Services, the blockchain methodology of using programming languages such as Solidity, Java, and Python to program smart contracts required customers to incur costs in time and money to develop, test and run their interactions with participants on the blockchain. These costs can be prohibitive for many services, and do not work well with normal enterprise business practices. Smart Services allows developers to use the Galaxa blockchain and build applications for the web-based, XaaS Galaxa marketplace using high-level natural language constructs and open web APIs. The system eliminates the need for complex smart contract coding and logistics. Galaxa will address the challenges faced by developers and enterprises that want to adopt and gain the benefit of cloud and blockchain technology in an effective, efficient and secure data marketplace, without requiring the skills of a Ph.D. in cryptography. To finance the Galaxa project, Leonovus plans to complete a Security Token Offering (“STO”) by issuing a security called a Simple Agreement for a Future Token (“SAFT”) as previously announced on September 4, 2018. Leonovus is applying to the regulators and the stock exchange to make the GAAX SAFT a tradable security on the TSX Venture Exchange. In eighteen to twenty-four months after the close of the financing, the SAFT will convert into the GAAX tokens. The marketplace will charge a small service fee percentage in GAAX to vendors and this service fee will be distributed to GAAX owners and system moderators. GAAX tokens will also be a security. Galaxa will pay regular distributions of GAAX to the token owners. Details about the distributions are in the whitepaper. The Company believes that GAAX is the first cryptographic token designed for the exchange of value between a corporate information technology buyer, an application service provider, and a storage/compute infrastructure supplier. “Galaxa is much more than most typical ICOs or STOs in that it will incorporate the Leonovus Smart Services blockchain innovation, along with a global enterprise-class marketplace that embeds Leonovus’ hyper-secure software-defined cloud storage technology which is in production today. 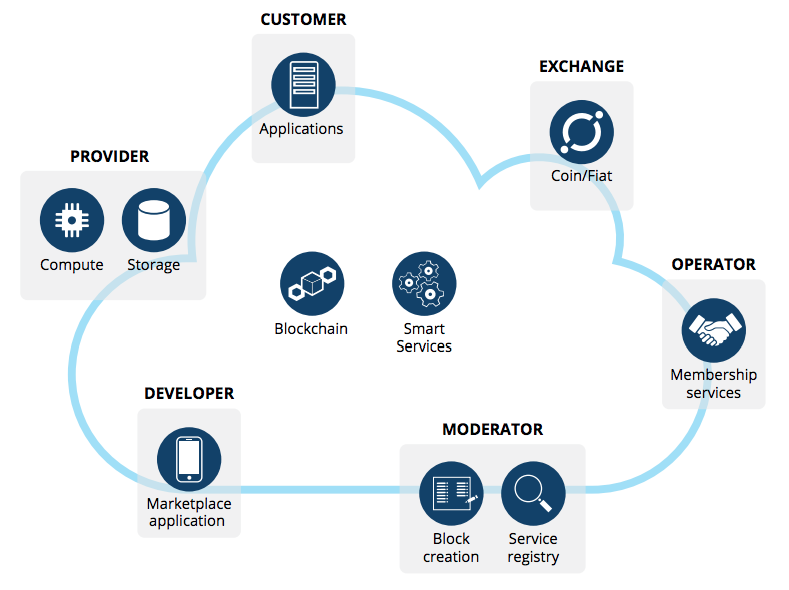 The marketplace provides a platform for thousands of cloud services developers who are locked out of the current market because of the oligopoly. This is also great news for the enterprise as there will be more choice for cloud service products and less cloud vendor lock-in,” said Gaffney. The planned STO will include a public offering of SAFTs in Canada and a private placement offering of SAFTs to accredited investors in Canada and to equivalent investors in other jurisdictions in compliance with applicable securities laws of those jurisdictions. There can be no assurance that the Canadian securities administrators will provide a final receipt for the prospectus and there can be no assurance that the TSXV will accept the SAFTs for trading. Following the issue of SAFTs to investors, no GAAX tokens will be issued pursuant to the SAFTs unless and until the Company successfully develops, builds, and launches the Galaxa marketplace. The launch date is planned to occur within eighteen to twenty-four months after the close of financings. The ability to trade the GAAX tokens will be subject to applicable securities and other laws and exchange rules at that time. Leonovus is a cloud solutions software developer of a blockchain enabled software-defined object storage solution. Designed with the IT manager in mind, Leonovus’ patented algorithms encrypts, shreds and spreads data across a network of on-premises, hybrid or multi-cloud storage nodes – allowing for the most secure yet internally accessible form of object-based data storage that provides GRC across the entire solution. The advanced geo-distributed architecture minimizes latency, optimizes geo-availability, reduces remote backup costs and meets data sovereignty requirements. With its software and hardware agnostic design, Leonovus provides petabyte scalability and allows the enterprise to utilize its existing idle storage resources, extend the useable lifespan of depreciated resources and improve the enterprise’s overall ROI. To learn more, please visit www.leonovus.com.